When we first started dating, deployment was a word that petrified me. I was already dealing with him being several states away and having no idea what on earth I was getting myself into. With no military family members or experience myself, I only had TV and movies to show me what deployments were like. I really did not think our relationship would survive deployment. How would I handle not seeing him for 10 months?! On the emotional scale I would say I was a solid 2. All the doom and gloom I was preparing for did not actually occur....it was the exact opposite. This should be obvious but I feel the need to say it anyway. Some relationships are fine during deployment others suffer. The best expectations to have during your spouse's deployment are none at all. I honestly feel a little bit lucky with his first deployment. I didn't know anyone else who's spouse was deployed at the time. I don't think we skyped more than twice during the nine months and internet was not always the easiest thing to come by when he was on a remote post. The great thing about a not so great situation, is that when we did have time to talk we NEVER ran out of things to talk about. When he was on a bigger post and we talked multiple times a day we never really had much to talk about after a while. Even if I didn't have much to say or didn't hear from him for days on end, a simple "I love you." text can make their day. I was and still am the worst at this. It is for your own benefit and sanity to not ask too many questions. Missions, timelines, jobs, etc change all the time. Things will happen that you won't know about or can't know about. I was so nosey at the beginning of the deployment. It was my own fear of the unknown that caused me to wonder and ask about things I knew he could not tell me. Ignorance is bliss.....even when your spouse is in a war zone. Deployment gave me an opportunity to try new things, graduate college, and build my relationships with others. In a way it forced me to get out and live me life. I truly believe the statement "Idle hands are the devil's work." If I didn't find something to take my mind off of him being on missions in who knows where Afghanistan I would've just become a nervous wreck. Trust is something that is not easy in any relationship, especially long distance relationships. I have seen this conversation happen between military spouses online all the time. I personally appreciate that my spouse is 100% okay with me going out with girlfriends on a Friday night. My life didn't stop when he was gone, but neither did our relationship. If we didn't trust one another while we were gone from one another than we shouldn't be in a relationship to begin with. It is normal to be scared about what could happen during deployments. 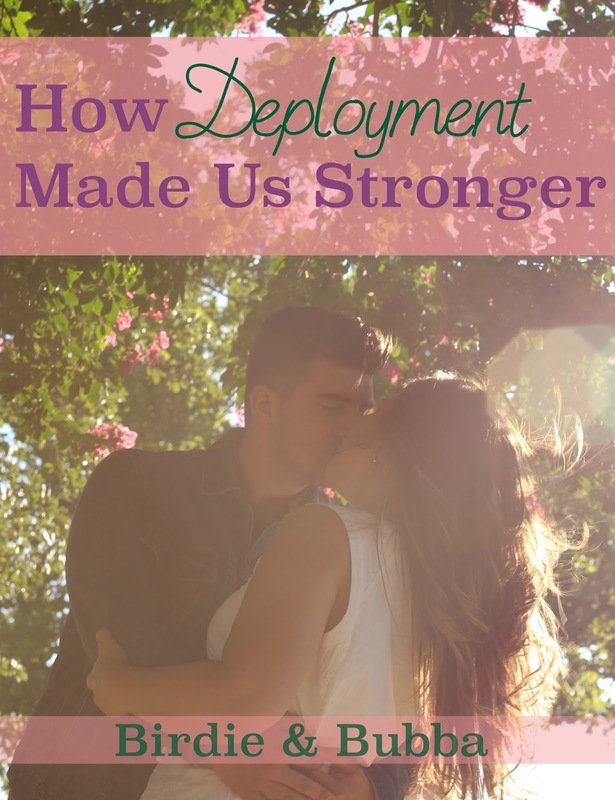 There will be high points and low points in your relationship during their deployment. This journey is truly what you make of it. On an unrelated note...I saw this duo Rising Appalachia at Red Rocks Amphitheater this past weekend. I figured the song is an uplifting one for anyone away from their spouse due to deployments, trainings, etc.